Prom is right around the corner. People attending prom are posting their “promposals” all over social media. 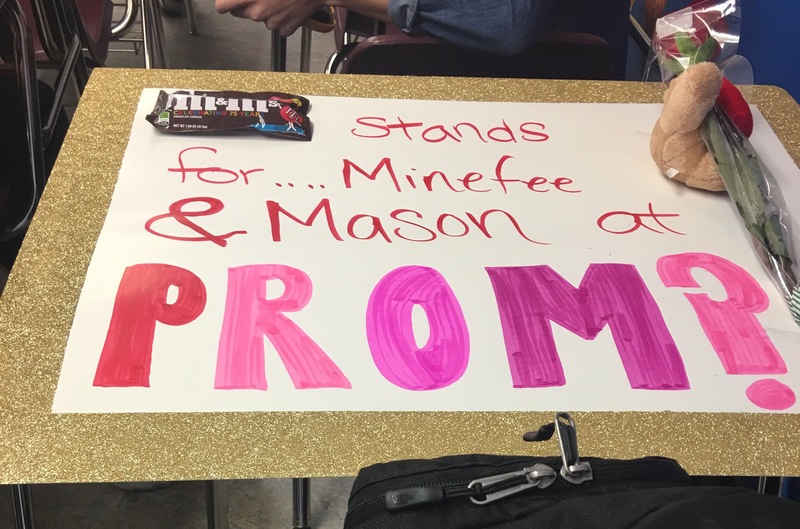 A promposal is a prom proposal, which typically includes a poster with a cheesy question asking one to prom, flowers, balloons, candy or a stuffed animal, and usually it’s a surprise. 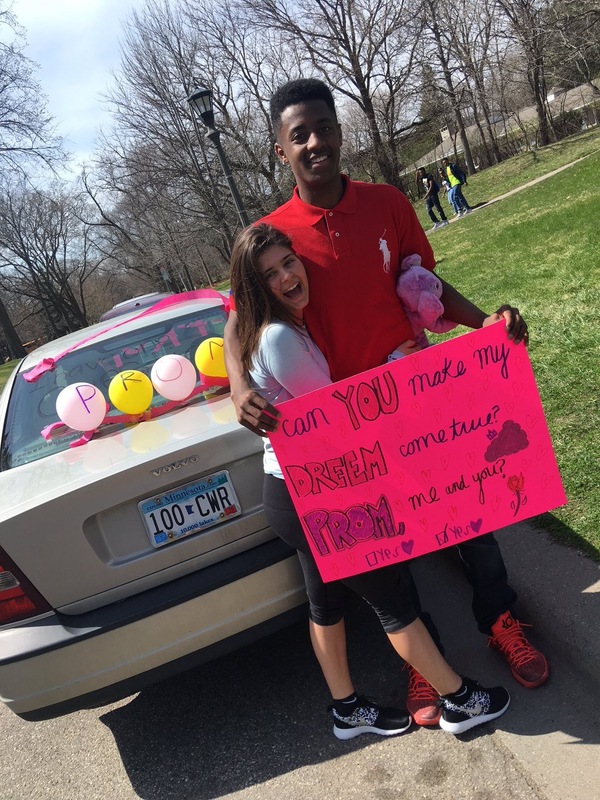 Promposals are a big thing for some highschoolers who are going to prom. The majority of promposal’s are a boy asking their date. I’ve heard many boys complaining about why can’t their date just ask them to prom with a poster. As girls are usually the ones who make a big deal over the prom proposal, it would make sense that they could be the ones doing the asking. I’ve also heard many prom attendees saying they don’t need a prom proposal, a simple text saying “Will you go to prom with me?” is enough. “Yes, it’s okay. If my date wasn’t going to prompose to me, I was going to ask him myself,” said Gabriela Masiello (11). “Yeah, it’s okay but I wouldn’t do it, I would be scared of rejection. If I got asked, it would be better,” answered Jocelyn Chavez (11). “Yeah, it’s not weird or anything. But not for me because then it would make me look mean for not asking my girlfriend,” said Dreem Kelly (11). So, they agree, it’s okay for the girl to ask a boy to prom. Some girls just prefer to get asked to prom by a boy. And some boys like surprising their date. Next. Do you need to have a promposal? No. Having a date, is enough for most people. Most people can go without posting pictures of a promposal on all their social medias. I asked some of my friends if they agree or disagree with me, that promposals are not necessary for prom. “Well, I mean, if I wouldn’t of got asked I still would be going. So no it’s not necessary, it’s just something fun that goes along with prom,” said Gabriela Masiello (11). “No, prom is still prom even if you didn’t get asked in a cute way. I think girls and boys just like promposals so they can post it on Twitter and Instagram to get their likes. I don’t think promposals are bad though,” said Jocelyn Chavez (11). “No I don’t need to ask a girl to prom, or they don’t have to ask me. But if that’s what your date really wants you should to make them happy,” answered Dreem Kelly (11). So, they agree with me, it’s not necessary. Promposals are something that goes along with prom these days and it’s exciting. But if it doesn’t happen, it’s okay, you’re not doing prom wrong. Prom here at Highland is on Friday, May 6th. If you want to prompose, you better hurry and surprise your date! To see more pictures of promposals of Highland Park students check out Highland’s prom twitter page https://twitter.com/highlandprom_ (username @highlandprom_).